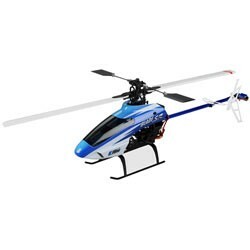 Here you have an E-Flite BLADE SR Bind & Fly Radio Control Helicopter !! Please review all photo's and see !! This package will include an all original complete ARF E-Flite BLADE SR Heli, 11.1 Volt 1000 Mah 15C Li-Po Battery Pack, A Bind Plug, An Owners Manual And Original Box. Please understand that this kit will include the COMPLETE Almost Ready To Fly E-Flite Blade SR Heli, Original Battery Pack, Bind Plug, Owners Manual & Original Protective Storage Box, No Charger Or Transmitter !! This Heli is New and ready to go !! Simply bind to any New Version Six or Seven Channel Specktrum Or JR Series Transmitter, charge and install onboard battery pack and you are in the air !!! This is a Very Nice Package, would make a Great Gift, and it is sure to provide Tons Of Fun !! You can't go wrong here when you have a Low Purchase Price of only $139.00 and if you buy now you can receive it in just a "few days" !!! So please take all of this into consideration, BUY IT NOW GET IT FAST & SAVE !!! Please understand that these Heli's are not available seperate like this, you would have to purchase the whole kit at $300.00 or more to get one, and you may not need all the other items so here is a chance to pick up this Great Heli, bind it to your transmitter and go !!! Someone is sure to get a Great Deal on a Fine Heli Here !! Will It Be You ?? Please review all photo's and see just how nice this kit is !!!! There are only two of these kits available at this Offer and when they are gone, they are Gone so buy now or loose out !! If you’re ready to step up from a coaxial or single-rotor fixed-pitch heli, the Blade® SR is the absolute best way to make that transition a successful one. It comes out of the box programmed to provide softer climb, pitch and roll response around the center of stick movement. This, combined with the tough, two-piece main frame and lower head speed, makes the Blade SR more forgiving and easier to master than most conventional CP helis. Plus, it’s big enough to fly outdoors even if there’s a little wind. An E-Flite Or JR (6) Channel Spektrum Series DSM Transmitter. Kit/ARF/BNF Bind & Fly (Helicopter & Battery Pack Only).